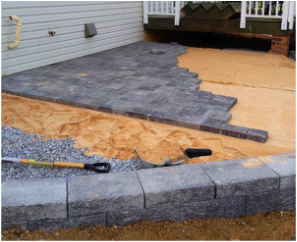 At Denny's Landscaping we strive to deliver the best when it comes to Landscape Installation and Maintenance, Hardscapes, and Decks. With years of experience you can rest assured that your project will be done by a quality professional. mission is to create and maintain exceptional outdoor environments for the enjoyment of our clients, achieving complete customer satisfaction through our core values of honesty, integrity, and respect. ​Landscaping your property is the absolute best way to improve the “curb appeal” of your home. Whether you’re looking to improve the property value, or you just want to make your lawn & gardens look nice, it sure isn’t easy. It’s tough enough coming up with inspiration for the look you desire that will work with the challenges of the land you’re working with. What makes it more difficult is the up-keep and knowledge that must go along with it, that's why we are here to help you! With our landscape maintenance service, you can relax knowing your outdoor chores are taken care of. We take our time using modern well maintained equipment to ensure you that your property will look its best. 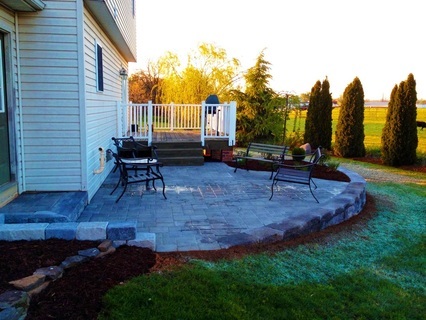 We can make that patio you've always dreamed of a reality! Nothing softens the feel and brings out the beauty of your home like quality landscaping. 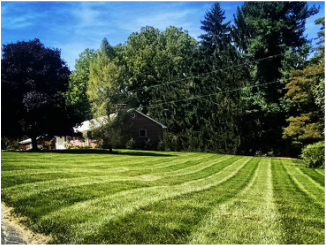 Take advantage of our experience and make your lawn the neighborhood gem! We offer these services in the Chambersburg, Shippensburg, Carlisle, Mechanicsburg, Greencastle and surrounding areas.